Now, using our new coupon code, you can get an additional 15% off that price, bringing the full version to just $127 – and the upgrade version (from LR 1, 2 or 3) to only $67! These are the lowest Adobe prices ever available for this software. Grab this unique promotion now before it expires at the end of the month. If you’re a student or teacher, you can get an even better deal with $20 off the education version of Lightroom. 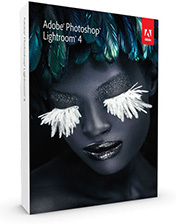 Get 15% off Adobe Lightroom 4, full and upgrade versions. Hurry! Ends Aug. 31st. Get 15% off Adobe Lightroom 4, full and upgrade versions. Also valid internationally! Once the coupon is activated above, the price discount will show when you add Lightroom to your shopping cart… One discount per customer per order please! Learn more with our Lightroom 4 Launch Guide, or compare the version differences between Lightroom 3 vs. Lightroom 4 (what’s new). If you’d like some free training to really get going with the program, check out four hours of free tutorials for LR4.